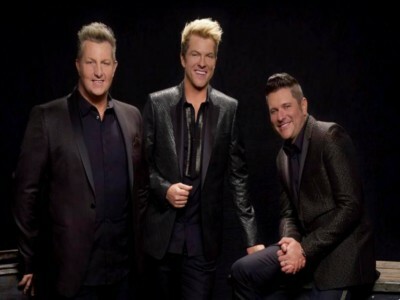 Rascal Flatts return with a lilting song of devotion in “Back to Life” a new single that follows the trio’s most recent studio album, Back to Us. Penned by Cary Barlowe, Niko Moon, Shay Mooney (of Dan + Shay) and Fred Wilhelm, “Back to Life” glides on a gently swinging rhythm and lists a series of reasons large and small that create a sense of renewal in love, from dancing around the living room to falling asleep five minutes into a movie. “She puts that beat in my chest, pounds like a drum, shakes me like thunder,” sings Gary LeVox, backed by the pristine harmonies of his mates Jay DeMarcus and Joe Don Rooney.